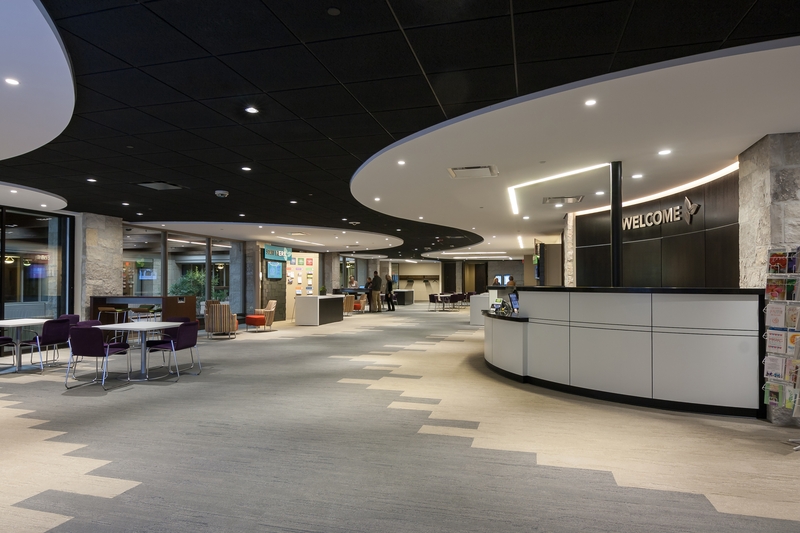 JNKA designed this conversion of existing office space into a vibrant and welcoming gathering area that provides this active church community with a dynamic and inviting space for connecting the congregation and visitors. 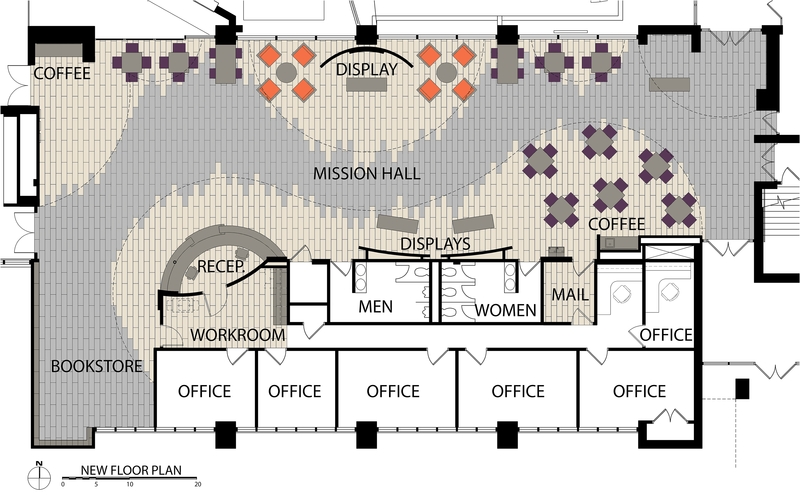 The design employs white curvilinear ceiling planes positioned over a coordinated meandering flooring pattern that draws the congregation into and through the space. 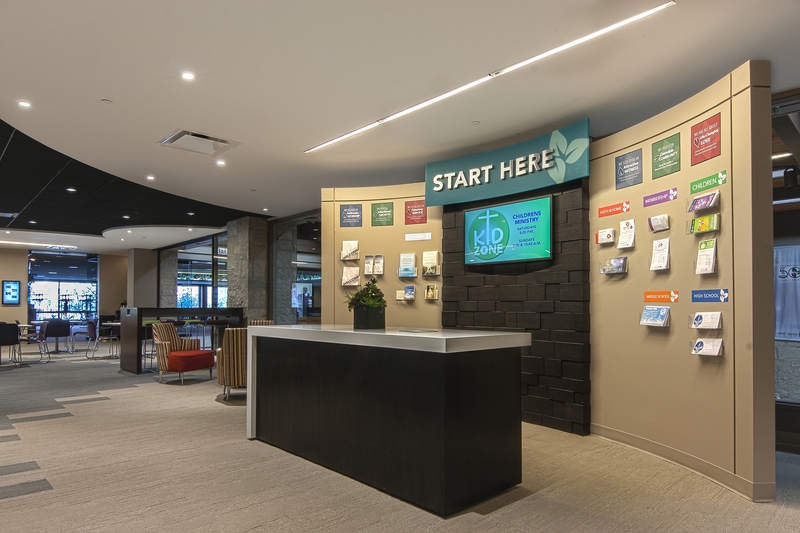 Reinforcing the curvilinear theme, a radial reception desk located near the main entrance serves as a welcome station and three curved display walls highlight the church’s identity, spiritual growth opportunities, and service ministries. The design also integrates salvaged rough-cut stone, an important component of the original church building, undulating wood panels and minimalist detailing that create a warm and contemporary gathering space for the church.